Legendary Tamil writer Kalki Krishnamurthy’s historical novel Ponniyin Selvan has always remained a favorite among patrons of history and there were many efforts to make this into a film. Director Mani Ratnam had also announced a few years back about his plans to convert the novel into a film. There were many names suggested for the iconic, indelible characters of the novel too. Ilayathalapathy Vijay was a strong contender for this project. AR Rahman and P C Sreeram were also reported to be in it. But later, the film was said to be dropped. Now writer Jeyamohan has explained in his blog why the project did not take off. 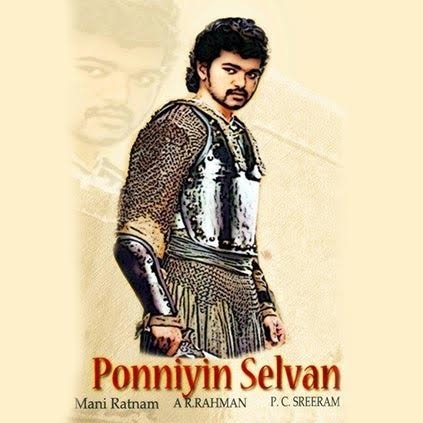 He says, “Under Mani Ratnam’s direction, there were plans to make Ponniyin Selvan into a film six years ago. I had written the screenplay for the same. But we were not given permission to shoot in any of the temples in Tamil Nadu. There are no big forts in Tamil Nadu which are situated at the ground level without the huge walls of temples. Therefore, at that time, just for the erection of sets, it was calculated that it would cost fifty crores and hence the plan was dropped”. Let’s hope that such hiccoughs are solved and the audience gets to watch the majestic Ponniyin Selvan on screen soon! What Would Be Rajini's Role In Ponniyin Selvan Play For Nadigar Sangam's Fund Raiser Program? What Happened To Ponniyin Selvan? Why Mani Wants Priyanka Chopra For Ponniyin Selvan? Ponniyin Selvan To Be On Par With Sholay? People looking for online information on Kalki Krishnamurthy, Mani Ratnam, Ponniyin Selvan, Vijay will find this news story useful.